Click on the episode title or photo to go to the interview. Salman Rushdie is an author that most people know in one way or another. He is the winner of the Booker Prize (what has been called the British equivalent of the Pulitzer), he has been appointed a Knight Bachelor by Queen Elizabeth II, and has had a fatwā issued against him for his book The Satanic Verses. His latest book is Luka and the Fire of Life, a fantasy tale about a boy whose father is sick and it is necessary for the boy – Luka – to travel into a fantasy world and capture some of this “fire of life” to cure his father; but he is up against unbeatable odds: no one has ever made through this fantasy world and survived; no one has ever managed to capture the fire of life; and no one has ever made it back to the real world with the fire of life. The book was written for his second son, after he originally wrote Haroun and the Sea of Stories, for his first son; they’d each asked for a story they could read and enjoy. 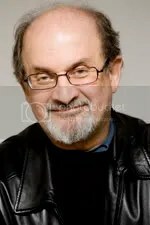 At a recent signing at the wonderful Kepler’s Books and Magazines, Rushdie took a moment to do an interview with BookBanter and Kaye Cloutman of the San Francisco Book Review. Angela from Kepler’s Books and Magazines also provided a question during the interview. Rushdie talks about how and why he became an author, the steps he needed to take to write a children’s fantasy novel, as well as some advice for writer’s living under oppression. Many thanks to Angela and everyone at Kepler’s Books and Magazines for helping to organize the interview, and for being so accommodating. Also thanks to Jared Emerson-Johnson for cleaning up the interview and making it sound awesome. 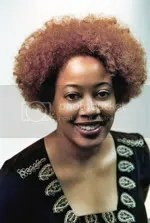 N. K. Jemisin is the author of The Hundred Thousand Kingdoms and The Broken Kings, the first two books in the Inheritance Trilogy. In this interview, Jemisin talks about how she got started writing, where she got the idea for “The Hundred Thousand Kingdoms,” and what the final book in the trilogy will be about. She also has some advice for writers looking to get published, and goes in to detail about another big project she’s working on. To hear the episode click on the title at the top of this post. Brandon Sanderson is the bestselling author of the Mistborn trilogy and will be soon starting work on the final book of the Wheel of Time series, after completing The Gathering Storm and Towers of Midnight. Two years ago — almost to the day — I had my first interview on BookBanter with Brandon Sanderson. Back then he had just begun work on the Wheel of Time series, after releasing the concluding volume of the Mistoborn series. We did the interview after a reading and signing, out in the open, with little interruption. You can hear the interview here. With the release of Sanderson’s own brand spanking new ten-book series, The Stormlight Archive, with The Way of Kings, and the recent release of the second to last Wheel of Time book, Towers of Midnight, I thought it would be fitting to have Sanderson be the first second interview with the same person on BookBanter, on the second anniversary of the podcast. This time, I was only given a fifteen minute window before a huge signing (there was no time for a reading) in a back office. I knew at the time of the original interview with Sanderson, that the next time would be a big affair, but I had no idea how big. In the short but detailed interview, Sanderson talks about how he was able to get two extremely long books written and published in one year, why he thinks he won’t have any books out for a while, and some secrets to his favorite hobby: RPGs! To play the episode GO HERE; to download, right click on THIS LINK. Also, with regards to the BookBanter website, there’s a new page called Librivox. On the main Librivox page you will find a wide selection of free listening material to download and enjoy. It is essentially the audio version of the Gutenberg Project, where you can enjoy a number of books and stories that are available in the public domain (because their copyright has expired). All audio recordings are done on a volunteer basis, and a number of years ago — before BookBanter (which was no doubt an influence on the genesis of the podcast) — I decided to record some short stories and then some books by Jules Verne and H. G. Wells for Librivox. On the Librivox page you can find all these recordings, as well as the links to downloading the stories, and the chapters to the books. After receiving some wonderful feedback from a reader for one of the recordings, I plan to get started on recording some more books in the near future. And stay tuned for the BookBanter Boon giveaway, which will be up shortly on this blog. 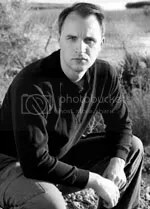 Dan Wells is the author of I am Not a Serial Killer and the recently released Mr. Monster. He likes to begin his readings with: “I am not a serial killer. My book is an autobiography.” His protagonist, John Wayne Cleaver, is a fascinating teenager who has his own issues to deal with, but when there’s a serial killer on the loose, John pushes these thoughts aside and does what he does best: gets into the mind of a cold-hearted murderer. In the interview, Wells talks about how he got started writing, where he got the idea for John Wayne Cleaver, how many other books there will be, and a little on what else he’s working on. You’ll find out the unusual location of his everyday writing office and what hobbies he likes to get up to in his free time. To play the episode go to Bookbanter; to download, right click on THIS LINK. Mitchell James Kaplan is the historical fiction author of By Fire, by Water, set in fifteenth century later Medieval Spain during the turbulent period of the Moors, Christians, and Jews, while Columbus was seeking out the distant Indies. The episode begins with the review for By Fire, by Water, followed by the interview with Mitchell James Kaplan, where he talks about how he got started writing, how much work and research his debut novel took, and what he’s working on next. To download the episode, right click on THIS LINK. A new episode of BookBanter featuring a further selection of book reviews. I was originally planning to have an recorded interview with Naomi Novik, and while we did do the interview (Dancing with Dragons: An Interview with Naomi Novik), I had some “technical difficulties” and at the end of it had no recording of the entertaining interview. The episode features the following book reviews: Tongues of Serpents by Naomi Novik, Flood and Ark by Stephen Baxter, Pariah by Bob Fingerman, Warrior of Rome by Harry Sidebottom, New York by Edward Rutherfurd, Cro-Magnon by Brian Fagan, Test by William Sleator, and Little Brother by Cory Doctorow. To play the episode click on the player below; to download the interview, click on THIS LINK. A new month, and a new interview and episode for BookBanter. We start with an exlusive interview with Gardner Dozois, co-author of Hunter’s Run, but primarily known as the editor of many different publications, including The Years Best Science Fiction series, and has won multiple Hugo and Nebula awards. One of his more recent anthologies is Warriors. In the interview Gardner talks about how he got involved in editing books, what he likes most about his work, how he comes up with and develops an idea for an anthology, and what he looks to do with his own writing. Please join me next time, on September 15th for a new interview. 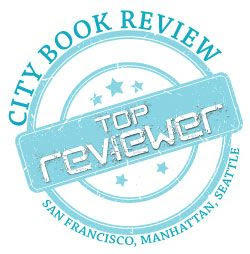 In the mean time, be sure to keep checking back for news, updates, and lots more new book reviews!